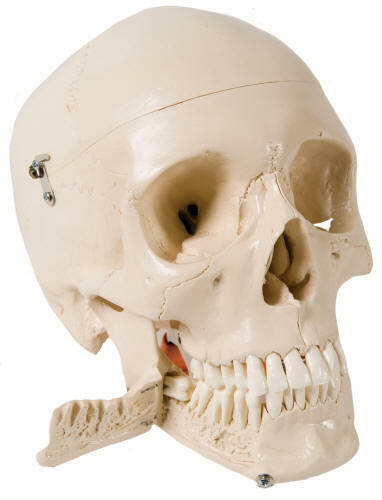 This dental skull with opened mandible exposes the dental roots with vessels and nerves. 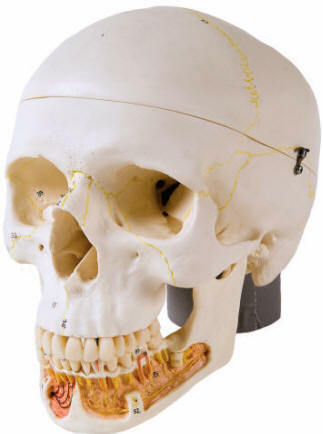 The cranial bones, bone components, fissures, foramina and other structures are numbered. The cranial sutures are shown in color as are the meningeal vessels and venous sinuses. 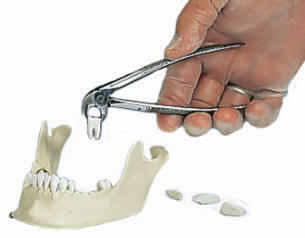 The teeth of the upper and lower jaw can be extracted and replaced individually with their fully formed roots. 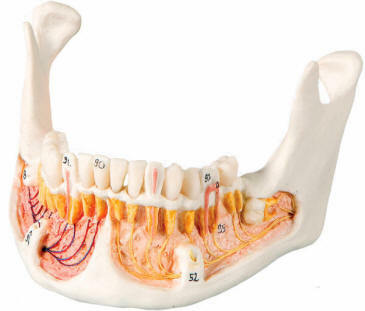 A bone flap on the right mandible can be opened to view the dental roots, spongiosa, nerve canal and an impacted wisdom tooth..